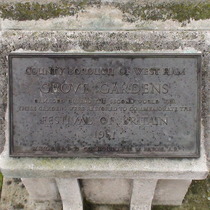 Grove Gardens, damaged during the Second World War, these gardens were restored to commemorate the Festival of Britain, 1951. "These gardens" no longer surround this monument as apparently they once did. 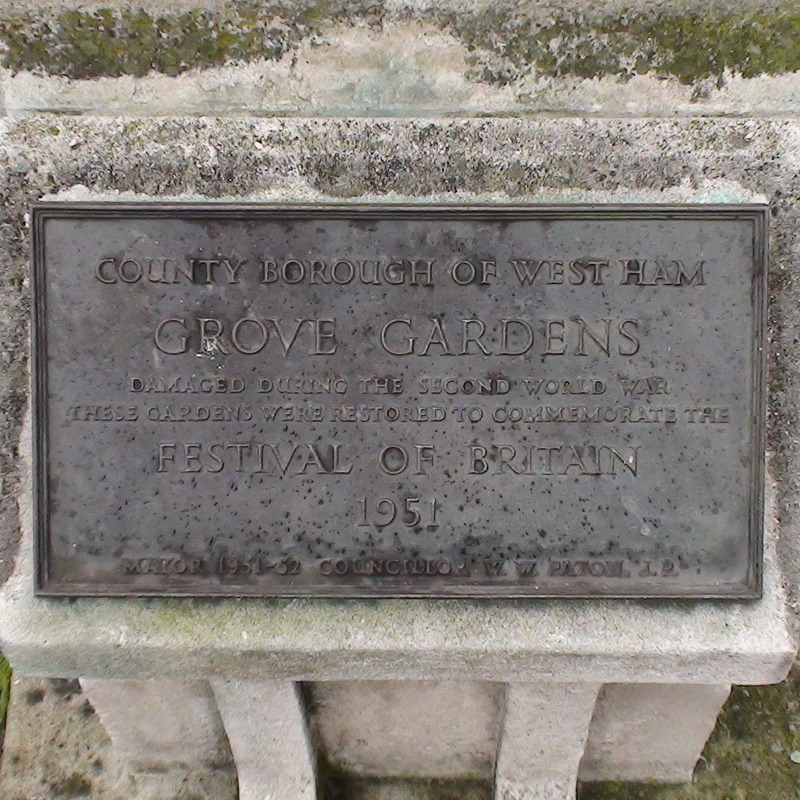 It seems the monument has been moved as, according to Exploring East London, "the garden used to be on the corner where The Grove met Romford Road. Sadly it has been replaced by a hotel and restaurant". The low stone stand holding the plaque has been added to the foot of the Kerrison monument, rather ruining its clean, Art Deco, lines. JP and Mayor of West Ham 1951-52. Also a Reverend.